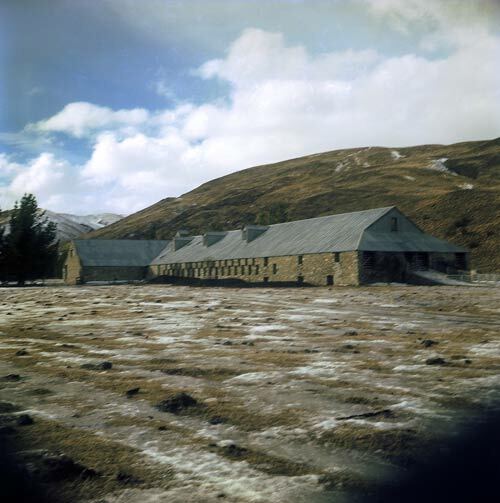 The great stone woolshed at Morven Hills Station, Central Otago, was one of New Zealand’s largest shearing sheds. Sheep entered the shed through the race (right). There were 34 shearing stands, 17 on each side. The three dormer windows, above the shearing boards, let in light. The wool room runs across the top of the boards. The count-out pens on this side have been removed.